Looking back at 2017 and all we’ve been through together, I think now is a good time to re-examine our relationship. It’s not me. It’s yogurt. Frozen yogurt, to be exact. To be more exact, it’s Llaollao frozen yogurt. Is it leaving or staying? You know, because apparently it’s Spanish. What’s with this yoyoing between Llaollao and Yolé? Quit playing games with my heart. It’s not a toy. Of course, Llaollao wasn’t the only one that cheated my feelings this year. It’s not yogurt. It’s tea. Bubble milk tea, to be exact. To be more exact, it’s Gong Cha, which was replaced by Li Ho in May and then returned to Singapore a couple of weeks ago. 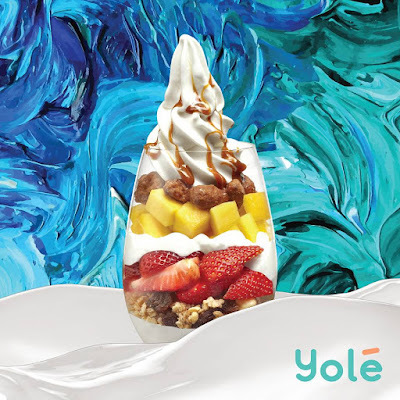 In mathematical terms, Llaollao=Gong Cha and Yolé=Li Ho. Remember the long queues for the Li Ho cheese tea when Li Ho first opened? Who knew Singaporeans are such cheeseheads? So much so that McDonald’s had to respond to complaints last week that its Cheese Loaded Fries turned out to be more like Cheese Lite Fries. "We know that sweet dreams are made of cheese (and sour cream) and it's nacho fault. We've relooked our processes to ensure that we load up the right amount of sauces so you won't get cheesed-off." It was gouda McDonald’s to address the negative cheddar about its Cheese Loaded Fries, but ricotta done without the cheesy cheese puns. This wasn’t even the first time McDonald’s cheated my feelings this year. In July, the company launched the nasi lemak burger to celebrate National Day only to have the burger sold out weeks before National Day and then brought it back weeks after National Day. So even though it was supposed to be for National Day, you couldn’t actually get the nasi lemak burger on National Day. That was just brie-liant, McDonald’s. Of course, McDonald’s wasn’t the only burger restaurant that disappointed me in 2017. In June, Burger King introduced the gingery Hainanese chicken burger, which made me ashamed to be Hainanese. 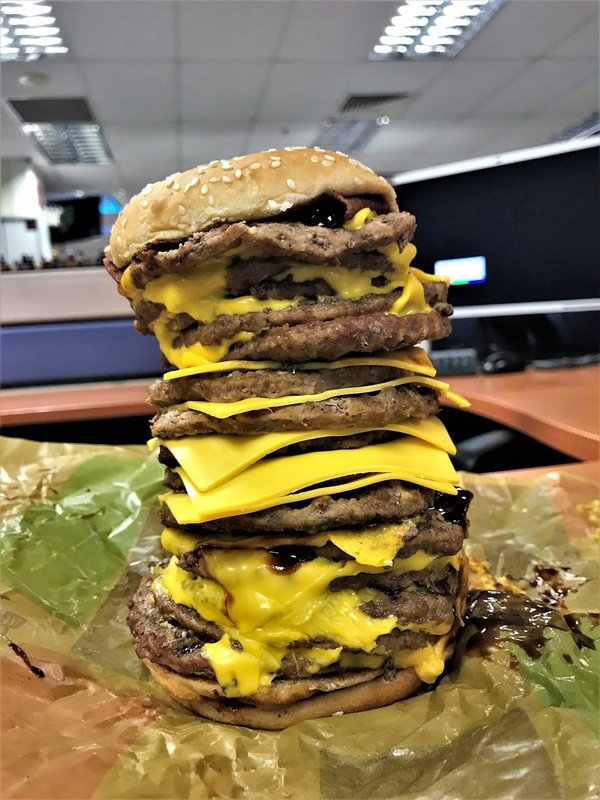 Then in October, the company unleashed the Stacker, a burger that was touted to have as many layers of meat and cheese as you wanted. But as I discovered, the tallest Stacker that Burger King would pre-stack for you was only five layers. If you wanted more, you were provided with the additional meat and cheese separately, and you had to build the more-than-five-layer Stacker yourself. Hey, Burger King, I just want a burger. Not play Jenga with my food. Not to be left out, KFC also broke a few hearts with the Chizza, which got me most excited in February. It was like a Hawaiian personal pizza but with fried chicken as its crust. For people who think pineapple on pizza is a crime against nature, the Chizza would probably be a capital offence. In other chicken-related news this year, Ikea stopped selling its fried chicken wings in May because “our chicken wings have not been meeting our customers’ satisfaction recently”. But like the nasi lemak burger and Gong Cha, the wings were back soon after. Did absence make the stomach grow fonder? Or just created bogus pent-up demand? I like you, food, but I just can’t take much more of this emotional ping-pong. Just when I thought I was out, you pull me back in with the Long Cheesemas Burger. Because of you, I’m getting feta every year. I guess no one wants to provolone. Good thing I’m not lactose-intolerant. So it’s adiós (that’s Spanish for goodbye) — until the next meal. So I went to Taiwan for a few days and took a few pictures.